Paora Tūhaere, of the Auckland and Kaipara iwi (tribe) Ngāti Whātua, is thought to have been born in about 1825. He became a Christian early in his life, and was known as a peacemaker rather than a warrior. In 1841 he was involved in bringing Governor Hobson and the capital from the Bay of Islands to the shores of the Waitematā Harbour, and in selling land for the growing town of Auckland. Although Ngāti Whātua did not support the Māori King Movement, they became more committed to holding what remained of their Auckland land by the 1850s. In 1860 Governor Browne, anxious to isolate Taranaki Māori and the King Movement, convened a large hui (gathering) of "loyal" Māori at Kohimarama, near Auckland. The Governor emphasised the benefits of the Treaty of Waitangi for those Māori who were prepared to honour it. Most Māori present resolved to do nothing to oppose the Queen's authority, although they were concerned about Crown policy in Taranaki. Browne promised to hold the Kohimarama Conference every year as a forum where Māori could take an active role in the administration of the colony. Tūhaere played an important role at the conference, and described it as a ratification of the Treaty by those who had not signed or understood it in 1840. Some historians have referred to this reaffirmation of the Treaty as the "covenant" of Kohimarama. Tūhaere became a leading senior chief of Ngāti Whātua when his uncle, Āpihai Te Kawau, died in 1868. He was appointed to a number of government positions, and started up a Pacific Islands trading venture by buying a schooner, the Victoria. He later became deeply concerned at the government's failure to meaningfully include Māori in the administration of the colony, and the damaging effects of land loss and the Native Land Court. He saw the increasing political and economic marginalisation of Māori as a gross breach of the Treaty of Waitangi and the Kohimarama "covenant". Tūhaere responded to the government’s failure to reconvene the Kohimarama Conference by setting up a Māori Parliament at Orakei, near Auckland, in the late 1870s. Colonial politicians generally ignored the Parliament's resolutions. Tūhaere frequently urged that tribal councils (rūnanga), rather than the Native Land Court, should manage and control the process of land title and land alienation. He later became a leading figure in the Kotahitanga movement, whose aim was to abolish Māori land laws, implement the Treaty of Waitangi, and exercise a degree of Māori self-government. He died at Ōrākei in 1892. I whānau mai a Paora Tūhaere i te takiwā o te tau 1825. Nō te iwi o Ngāti Whātua o Tāmaki-makau-rau, o Kaipara. E tamariki tonu ana a Tūhaere ka iriiria. Ka puta te rongo mōna hei rangatira whakatau i te riri, kāpā hei toa i roto i te pakanga. I te tau 1841 ko ia tētahi i pōwhiri i a Kāwana Hopihona kia neke i tōna tāone matua mai i te Pēwhairangi ki ngā tahatika o Te Waitematā; ko ia hoki tētahi ka hoko whenua kia tipu ai te tāone o Ākarana. Ahakoa te mea kāore a Ngāti Whātua i whirinaki atu ki te Kīngitanga, ka kaha haere tō rātou ātete i te hokonga whenua i te tekau tau atu i 1850. I te tau 1860, nā runga i tana māharahara kei whai kaha ngā iwi o Taranaki me te Kīngitanga, ka karangahia e Kāwana Browne tētahi hui nui mō ngā kūpapa Māori ki Kohimarama, tata ki Ākarana. Ka whakanuia e te Kāwana te Tiriti o Waitangi mō aua Māori ka pūmau ki te Tiriti. Ahakoa tō rātou āwangawanga mō ngā mahi a te Karauna ki Taranaki, kīhai te nuinga o ngā rangatira i ātete ki te mana o te Kuini. Ka puta te kōrero a Browne, ka tū te hui o Kohimarama ia tau kia whai wāhi ai ngā rangatira Māori ki ngā whakahaere o te koroni. He tūranga nui tō Tūhaere ki roto i te hui; ko tāna i titiro ai, he whakapūmautanga tēnei hui o te Tiriti mō te hunga kāore i haina, mō te hunga kāore hoki i te mārama ki ngā kōrero o te Tiriti i te tau 1840. Kīia ai tēnei āhuatanga e ētahi tumu kōrero, ko te “kawenata” o Kohimarama. I te matenga o tōna matua kēkē a Āpihai Te Kawau i te tau 1868 ka matika a Tūhaere hei rangatira mō Ngāti Whātua. Ka tohungia ia ki ētahi tūranga a te kāwanatanga. Ka tīmata tana tauhokohoko ki ngā moutere o Te Moana-nui-a-Kiwa i tana hoko i tētahi kaipuke, ko Victoria te ingoa. Ka tipu tōna pōuri i te kore whakarite a te kāwanatanga kia whai wāhi nui te Māori ki ngā whakahaere o te koroni, tāpae atu ki ngā mahi hao whenua a te Kōti Whenua Māori. Ki tāna titiro, he takahitanga o te Tiriti o Waitangi rāua ko te “kawenata” o Kohimarama ngā pēhitanga tōrangapū, ohaoha i te Māori. I te paunga o te tekau tau atu i 1870, ka whakatūria e Tūhaere tētahi Pāremata Māori ki Ōrākei, e tata ana ki te tāone o Ākarana, hei urupare ki te whakakorenga ake a te kāwanatanga i ngā hui nui ki Kohimarama. Kāore i arongia e ngā kaitōrangapū Pākehā ngā whakatau a te Pāremata Māori. Ka whakahau a Tūhaere, mā ngā rūnanga o ngā iwi kē e whakahaere ngā hokonga whenua, kaua mā te Kōti Whenua Māori. Whāia, ka tū a Tūhaere hei kaiārahi o te Kotahitanga, e whai ana kia whakakāhoretia ngā ture whenua Māori, kia mana te Tiriti o Waitangi, kia noho ki te Māori te mana whakahaere i a ia, ki ētahi taumata. Ka mate ia ki Ōrākei i te tau 1892. 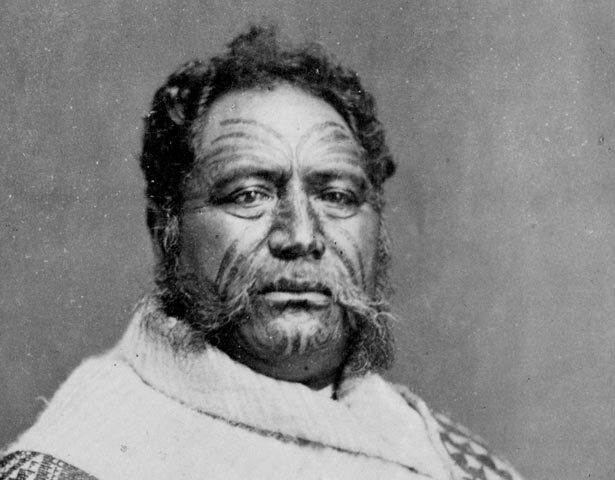 We have 37 biographies, 1 article, related to Paora Tūhaere.